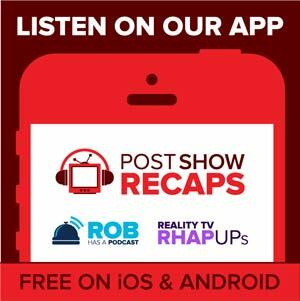 Rob Cesternino and Antonio Mazzaro recap the premiere episode, “Uno”, of the Breaking Bad prequel, Better Call Saul. After the first night of “Better Call Saul” on AMC Rob and Antonio discuss how the first episode was much different than what they expected. Both Rob and Antonio were pleasantly surprised with the first outing of the new series. The biggest surprises of the night were how “Better Call Saul” incorporated the “Breaking Bad” universe in a big way. Rob and Antonio were shocked to see the flash forward to the time period after “Breaking Bad” and the surprising reveal of Saul working as a manager at the Cinnabon. Then at the end of the episode, it was an even bigger surprise to have Saul end up being taken prisoner by Tuco (who was a former adversary of Walter White and Jesse Pinkman). 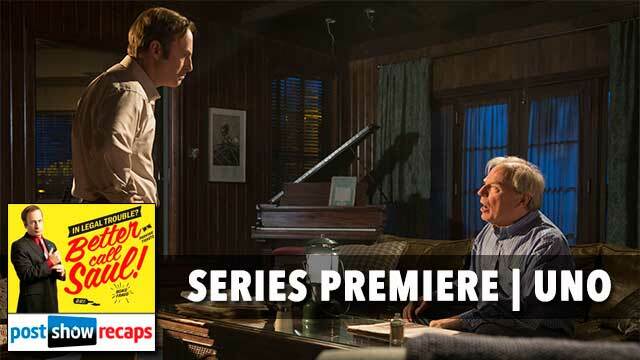 Join Rob and Antonio again on Monday night LIVE at 11:15 pm ET to recap Night 2 of the Better Call Saul premiere.